Pick some letters (L,G,B,T,Q,+, etc. ): Trans & Bi, a bit queer in terms of music taste! Physics background. Mechanical Engineering Degree, moved to software in Engineering writing data analysis software, CAD, then office software. Did Postgraduate in pure CS but missed the science/engineering part. Eventually ended up in a company doing environmental searches. Lots of maths problems, spatial geometry expertise here, so want to learn more about that. I’ve had it all, when I transitioned at work it was very difficult. At first people were very positive, but then I noticed more criticism of my work, almost on a daily basis, less opportunities, and people seeming awkward around me. My mental health has suffered due to family issues. I expected it to improve my performance due to finally coming out, but actually it did get worse for a bit. I think people are not really aware of what Trans people go through. It was hard, but the positives are that I have a big drive to change things for other people and I’ve joined more inclusive groups for hacking. In STEM, there was my first manager, a C and assembly language programmer who really knew coding and solving hard maths problems. We worked on vibrational analysis, transformations of waveforms. We installed software in nuclear power stations. She was one of the pioneers, programming mainframes in the sixties. I also love Sophie Wilson. She invented the ARM chip which was used in my first home computer which I learned to program on in the early-mid 80s – an Acorn Electron. I want to become more well-rounded as a programmer, and learn more about front end, design, UX interaction. GIS really interests me so I’d like to study some of the algorithms used for calculating geospatial stats. Also planning to look into AI and object recognition. Music, bands and volunteering in STEM are things I want to continue and build on. I also help organise Trans Pride Brighton as the Volunteer Coordinator on the committee so that will take up much time. 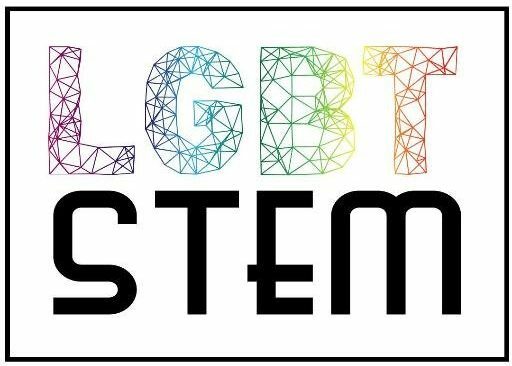 I love how LGBT in STEM is becoming so open. There was a time I worked in a male dominated office and felt uncomfortable talking about anything to do with gay stuff. Nowadays we have our own group and events within the workplace. It’s so much more open.